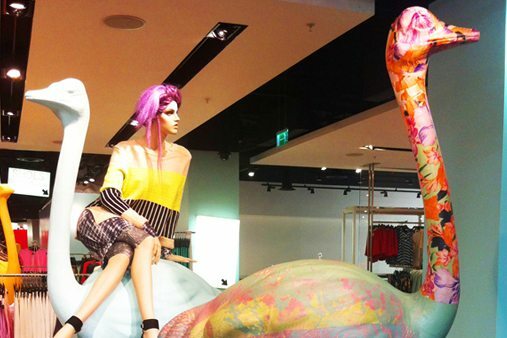 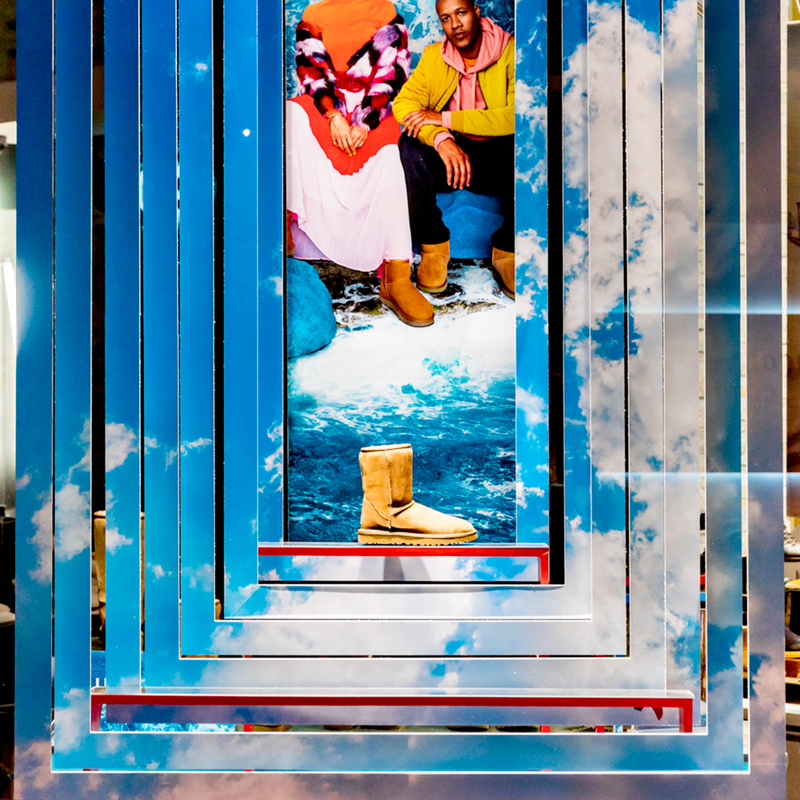 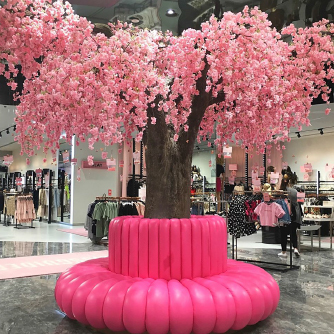 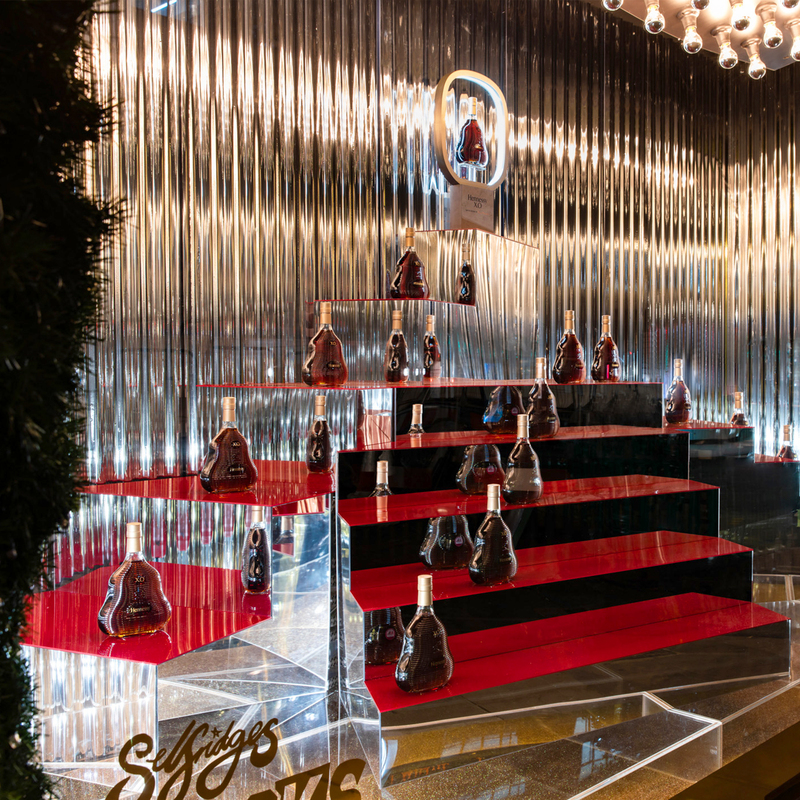 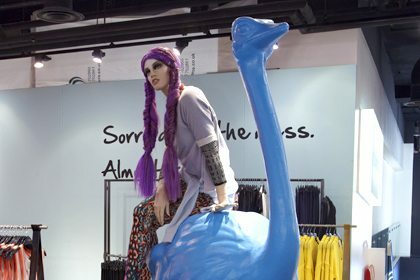 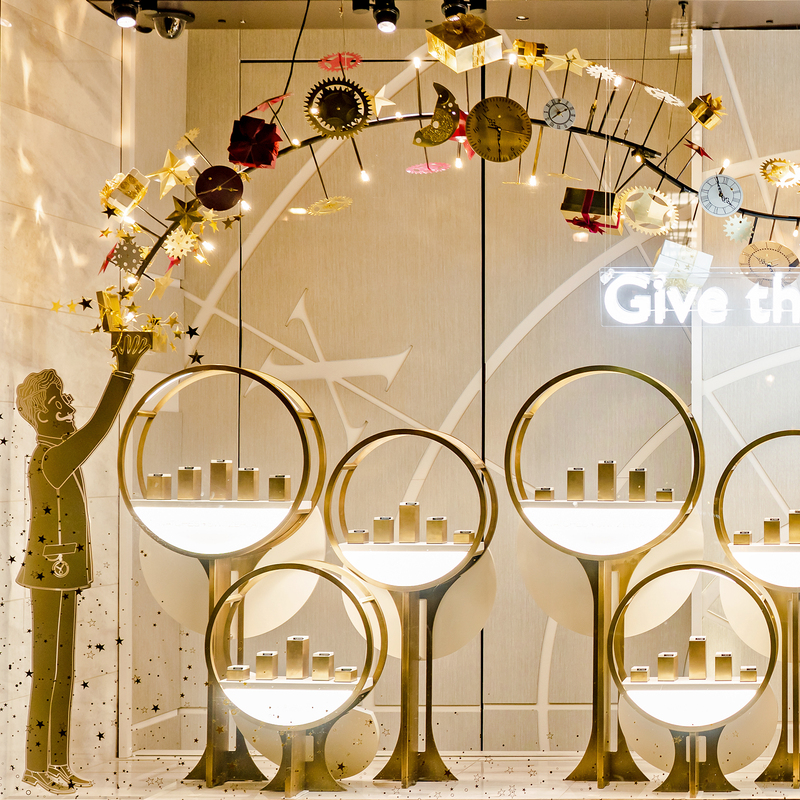 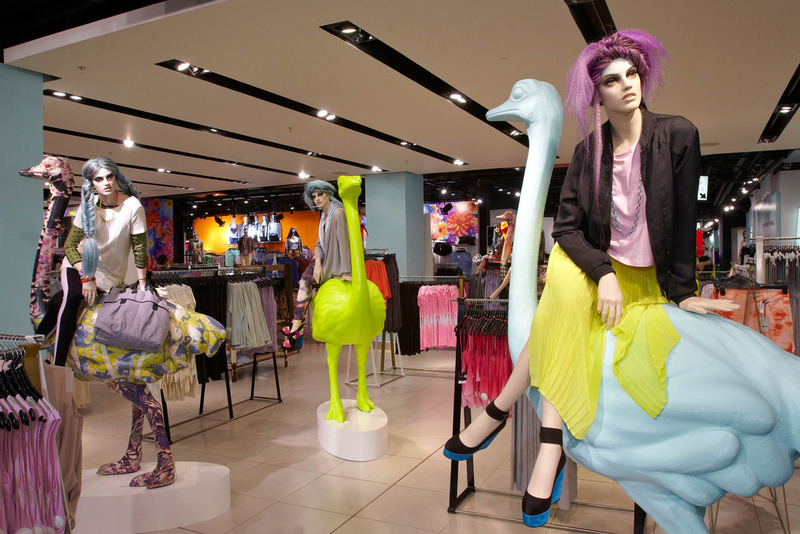 Topshop tasked Prop Studios to design and manufacture a production run of large ostriches for their Oxford Circus flagship store. 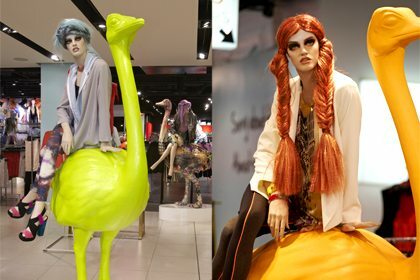 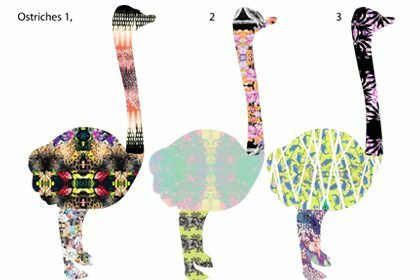 Each ostrich was to be finished in a different and unique way, as playful and characterful additions to the VM landscape in store. 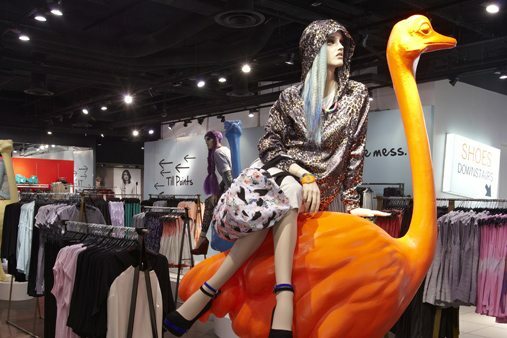 The scheme celebrated Topshop’s 10th anniversary of sponsorship of London Fashion Week. 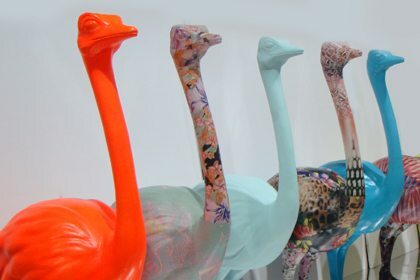 Each of the life-sized birds were constructed and artistically hand finished at the Prop Studios workshop in East Sussex. 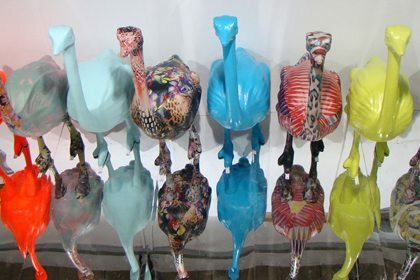 The ostriches were made in fibreglass and some were sprayed in hot gloss neon colours and matt pastels, whilst others were covered in papier mache using artists’ designs. 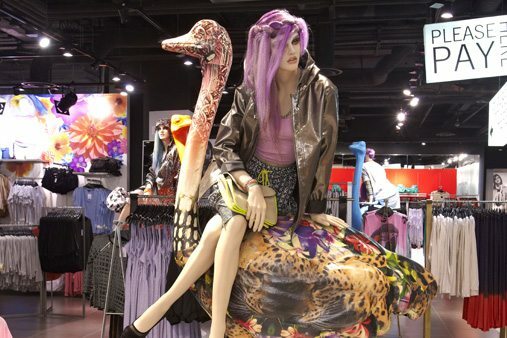 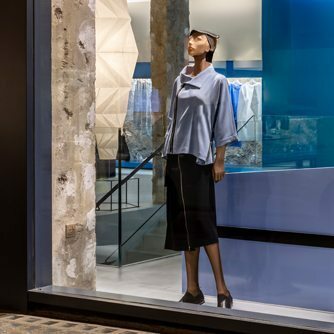 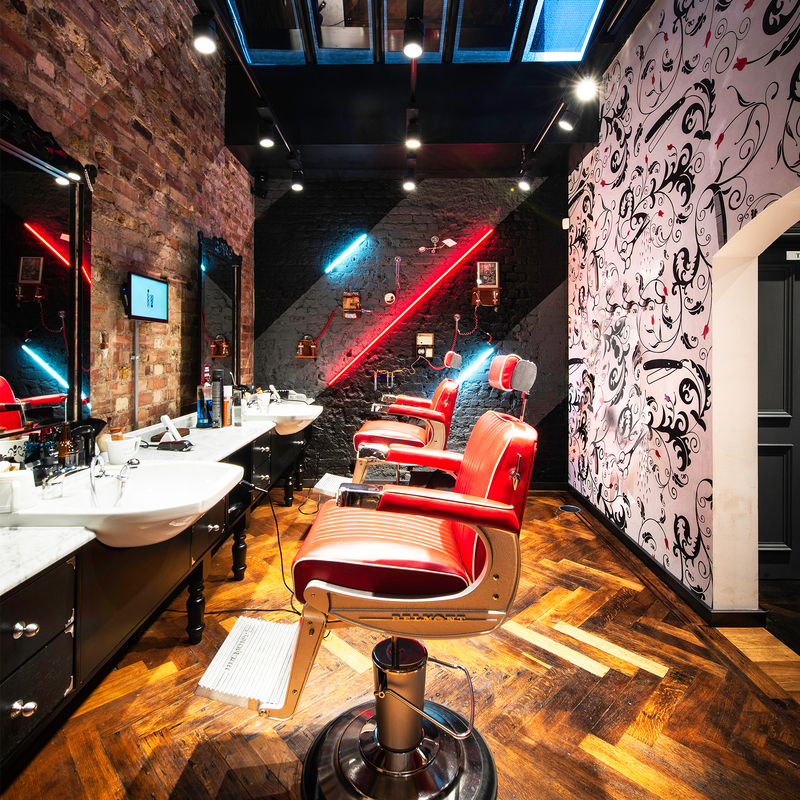 The birds were over 2m in height and some were designed to support mannequins and fitted with full bespoke clothes rails, also made by Prop Studios.